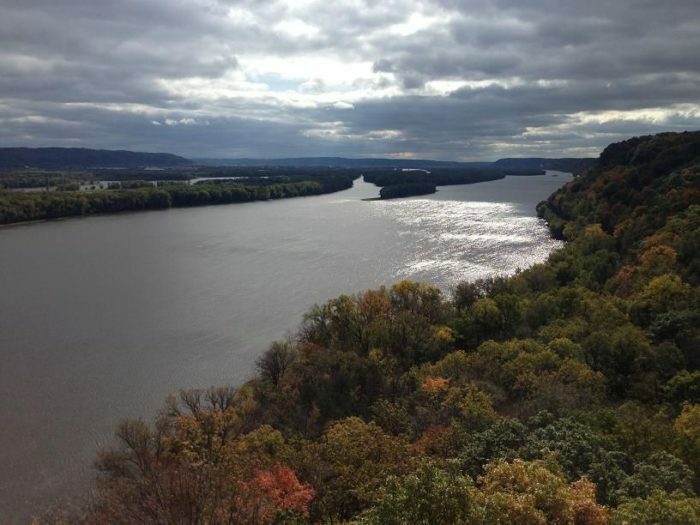 Iowa gets a reputation for being flat and boring, but those who live here know that’s the farthest thing from the truth! 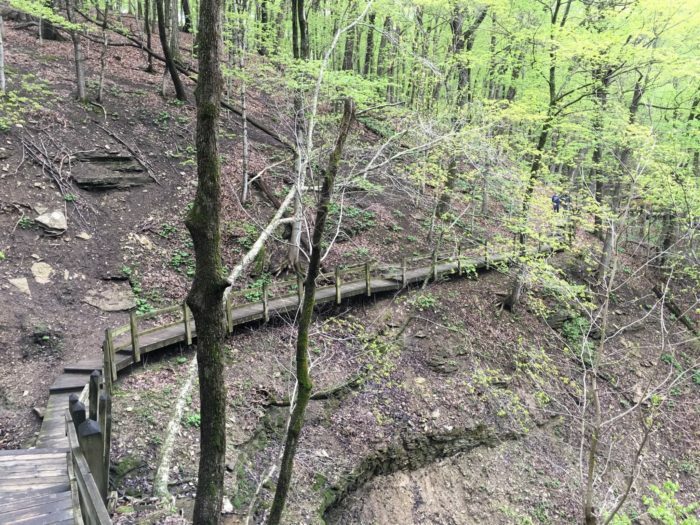 The Hawkeye State is full of beautiful hiking trails, cliffs, hills, rivers and scenery, and all you have to do to see it is visit this one tiny river town. 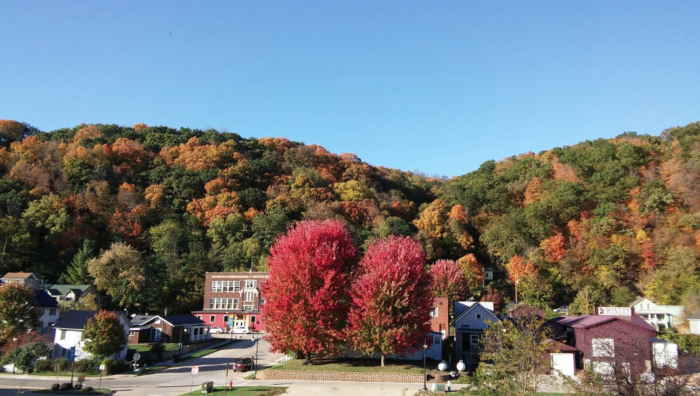 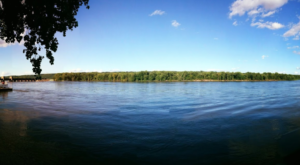 Marquette, Iowa is a tiny town on the Mississippi River that's a nature lover's dream come true. 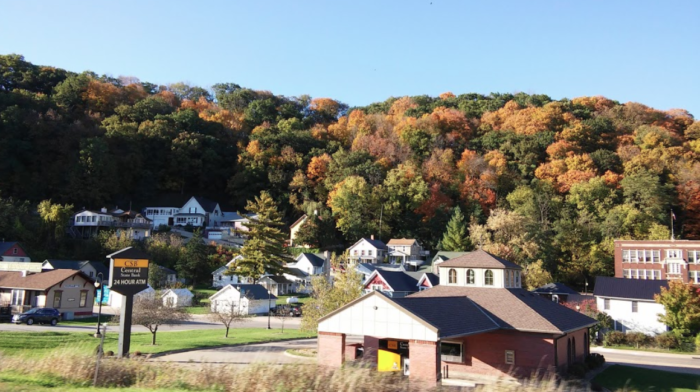 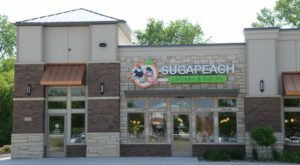 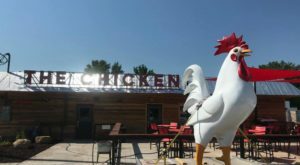 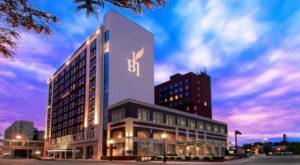 There's always something going on in this little town, so if you love to shop and stroll you'll have a blast, but it's the hikers that truly love living in Marquette. 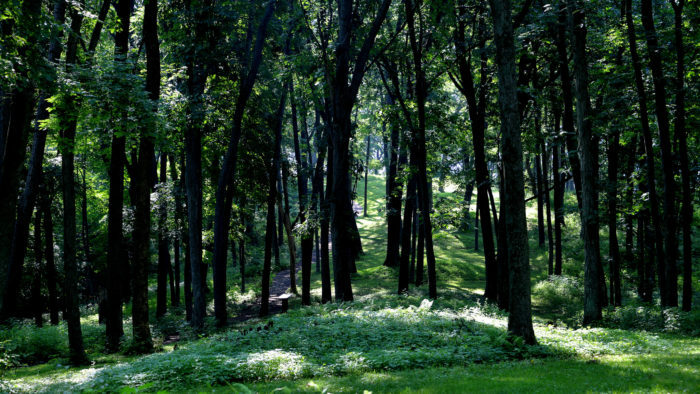 ... and Effigy Mounds National Monument. 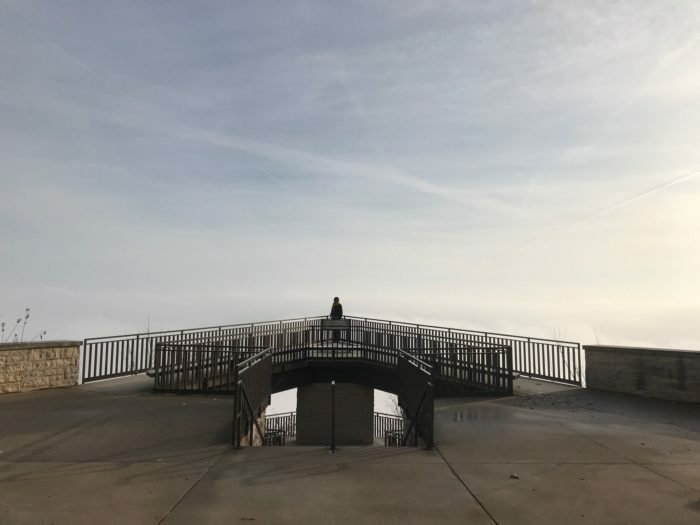 Pikes Peak is known for their winding boardwalk trails that take you to a stunning overlook and even underneath a waterfall. 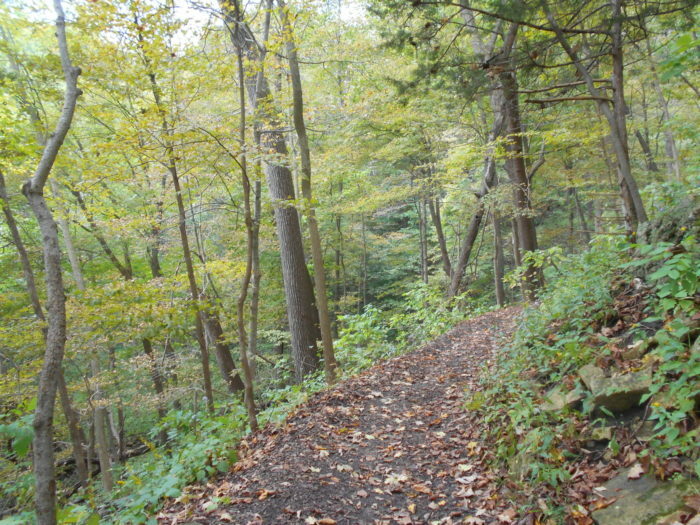 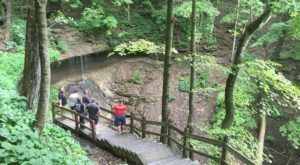 The Bridle View Trail is the waterfall hike - and it's so worth checking out. 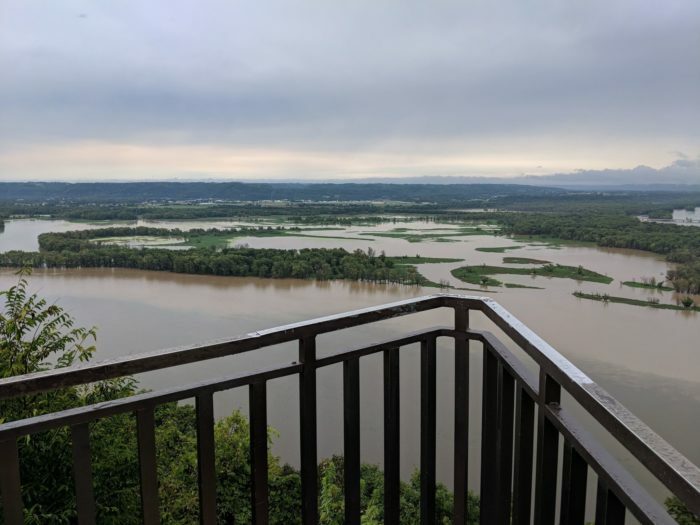 Of course, you've got to make it to one of the park's notable overlooks, where you'll catch breathtaking Mississippi views! 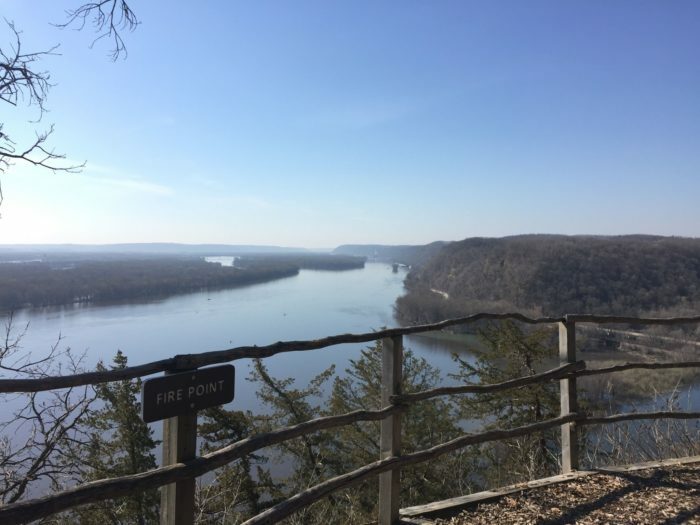 Effigy Mounds is unique, too, and just a few minutes from Marquette. 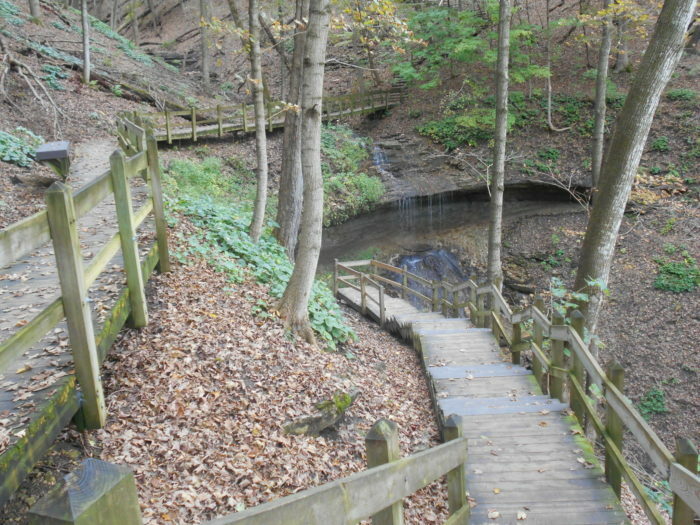 Miles of trails wind up and around Native American burial mounds, which makes this one of the most unique parks in the country. 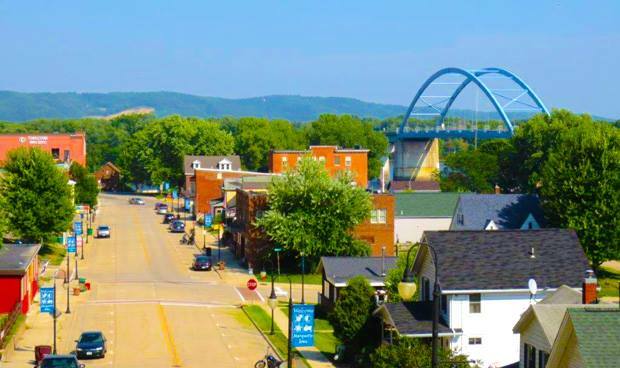 Though it's not as famous as Pikes Peak, the overlooks here are some of the best in the state. 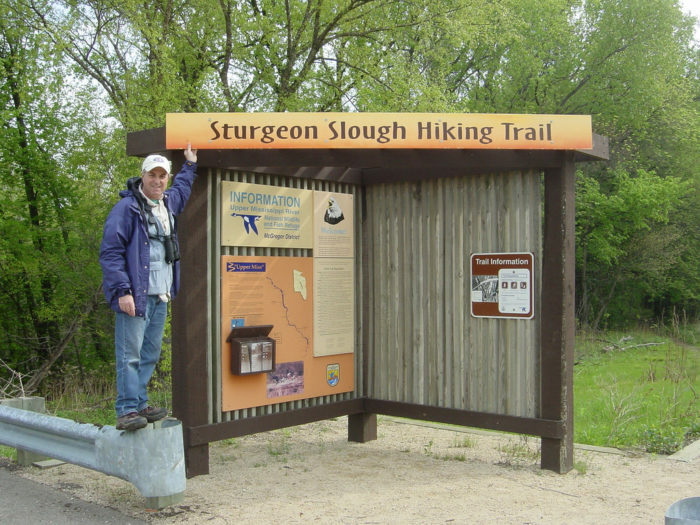 The Sturgeon Slough Mississippi River Trail has a trailhead in Marquette, too, and this two-state trail is beautiful in the fall. 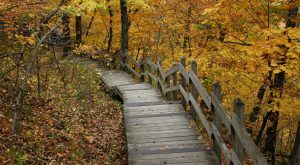 Lace up your hiking boots and head to Marquette, Iowa this fall for a handful of hikes that will get your blood pumping! 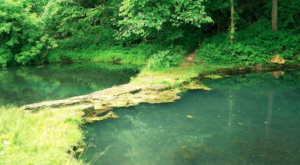 This nature lovers town is the perfect place for a getaway from the busy city life! 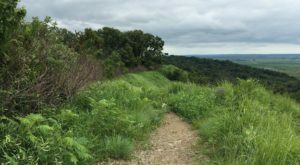 For more information on Pikes Peak State Park, read The One State Park In Iowa That Stands Out From The Rest, and for more information on Effigy Mounds National Monument, read This Hike Takes You To A Place Iowa’s First Residents Left Behind.